Tyson has recalled approximately 2,485,374 pounds of ready-to-eat breaded chicken due to undeclared allergens. The U.S. Department of Agriculture's Food Safety and Inspection Service announced that the products could contain milk, a known allergen, which is not listed on the label. These ingredients were used in production of select Tyson Foods foodservice products listed below. The recall is limited to foodservice customers, and affected products are not available for purchase in retail stores. 31.86-lb. 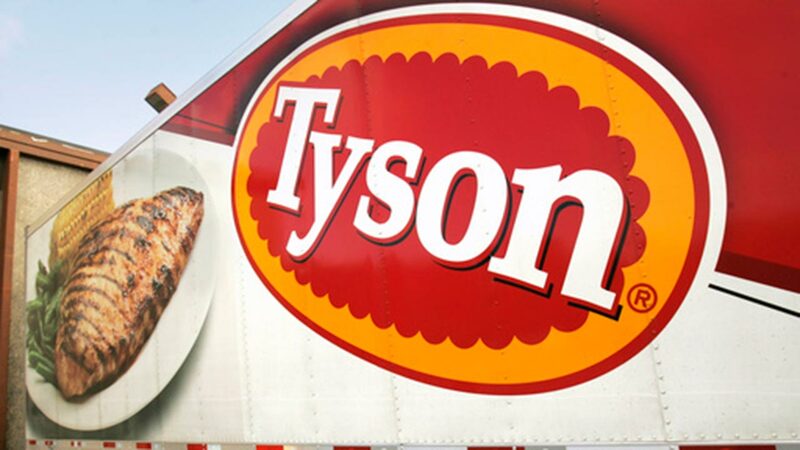 bulk cases of "Tyson FULLY COOKED, WHOLE GRAIN STRIP-SHAPED CHICKEN PATTIE FRITTERS-CN" with case code 003859-0928 and production dates of 09/09/2016, 10/05/2016, 10/14/2016, 10/15/2016, 11/09/2016, 12/10/2016, 12/30/2016 and 01/14/2017. 31.05-lb. bulk cases of "Tyson FULLY COOKED, WHOLE GRAIN CHICKEN PATTIE FRITTERS-CN" with case code 003857-0928 and production dates of 11/12/2016. 30.6-lb. bulk cases of "Tyson FULLY COOKED, WHOLE GRAIN BREADED CHICKEN PATTIES-CN" with case code 016477-0928 and production dates of 09/10/2016, 09/16/2016, 09/23/2016, 09/30/2016 and 10/06/2016. 30.6-lb. bulk cases of "Tyson FULLY COOKED, WHOLE GRAIN CHUNK-SHAPED BREADED CHICKEN PATTIES-CN" with case code 016478-0928 and production dates of 09/16/2016, 09/28/2016 and 10/06/2016. 20.0-lb. bulk cases of "Tyson FULLY COOKED, BREADED CHICKEN PATTIES-CN" with case code 005778-0928 and production dates of 09/14/2016, 09/19/2016 and 10/03/2016. 32.81-lb. bulk cases of "Tyson FULLY COOKED, WHOLE GRAIN GOLDEN CRISPY CHICKEN CHUNK FRITTERS-CN CHUNK-SHAPED CHICKEN PATTIE FRITTERS" with case code 070364-0928, packaging and production date of 08/17/2016. 20-lb bulk cases of "SPARE TIME, Fully Cooked Breaded Chicken Patties" with case code 005778-0861 and production date of 10/03/2016. 20-lb bulk cases of "SPARE TIME, Fully Cooked Chicken Pattie Fritters" with case code 016477-0861 and production date of 09/16/2016 and 10/06/2016. Tyson was made aware of the problem June 6, 2017, when they were alerted by an ingredient supplier that the bread crumbs they used to make the chicken contained milk. According to Tyson, some schools purchased these items, but there have been no confirmed reports of allergy reactions.